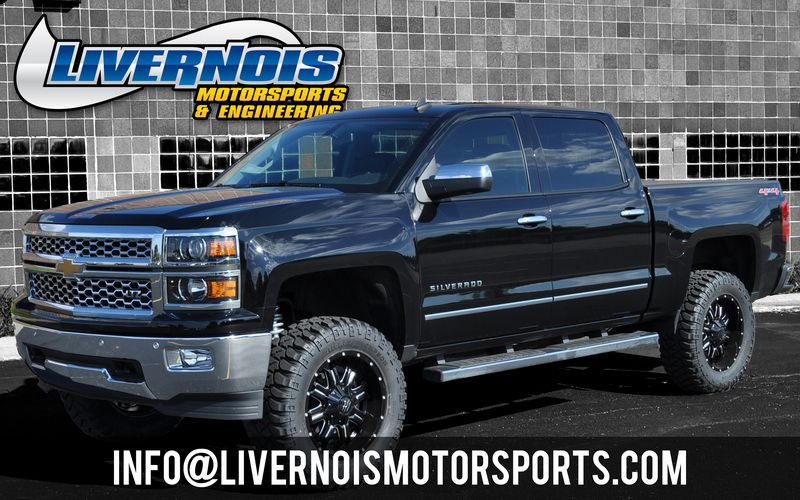 Livernois Motorsports provides Engineering Services, Performance Products, and Niche Vehicle Design and Manufacturing to the OE and Aftermarket Automotive Industry. Livernois Motorsports specializes in late model Ford, GM, and Chrysler performance parts, service, and tuning. We take great pride in offering unparalleled service and top quality automotive performance products and accessories at the best prices possible. We also install everything we sell! With the availability of parts from hundreds of manufacturers, Livernois Motorsports can supply you with virtually any high performance product that you may require. To ensure these products get delivered to you as quickly and efficiently as possible, we have teamed up with the largest wholesale distributors in the country to ensure that your orders get processed and shipped as quickly as possible. Livernois Motorsports is constantly developing and testing new products. This allows us to add our own new products, which are designed in-house along with product lines from hundreds of vendors to provide you with the latest, cutting edge products available for your vehicle. Our website highlights most of the common products and services we offer, but if you don’t see what you’re looking for, please send us an email or contact us by phone! With online storefronts becoming increasingly popular these days, Livernois Motorsports wants our customers to know that we are more than a “fly-by-night” online operation. In addition to our online store, we still have our brick-and-mortar storefront and installation facility specializing in late model Ford, GM, and Chrysler performance parts, service, and tuning. For a quick overview of our services, please see the video below. We take great pride in offering unparalleled service and top quality automotive performance products and accessories at the best prices possible. We also install everything we sell! Dealer/Jobber/Wholesale Accounts Welcome! Contact us for details.